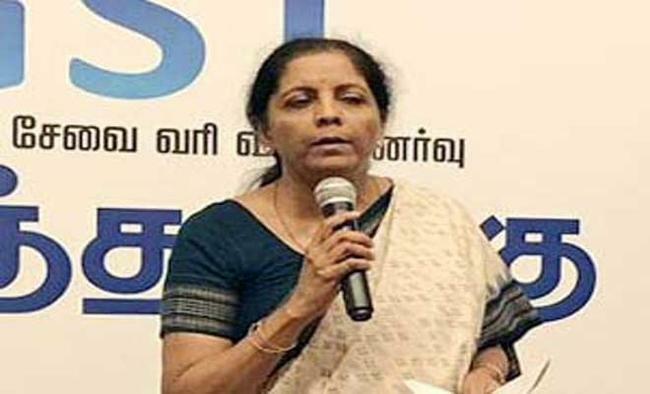 Mumbai: Reliance Naval Engineering Ltd (RNEL) has appealed to Defence Minister Nirmala Sitharaman "to urgently review, streamline and fast-track all defence contracts to eliminate delays of years".In a letter to the minister, the company has listed a series of major defence contracts which are pending processing and award for several years, which is adversely affecting the two major private sector shipyards in India. It has detailed 13 Requests for Information (RFIs)-- 10 for Indian Navy and three for Indian Coast Guard -- which were issued way back in December 2014 for projects worth Rs 50,000 crore, to which RNEL, defence public sector undertakings (DPSUs) and other private sector shipyards responded promptly. Of these 13 RFIs, "not even one" has been processed so far -- though over three-and-a-half-years have elapsed -- to the final competitive bidding stage under the Defence Production Policy (DPP) 2018, it rued.RNEL pointed out that after the RFI is issued, it takes at least one-and-a-half years for issuance of Requests for Proposals (RFPs), another six months for submitting bids, and three-and-a-half years for commercial bid opening, and finally one-and-a-half-years for signing the contract. Thus, the company noted, from the issuance of the RFI to the final contract signatures, it can take anywhere "between seven and 10 years". RNEL said there is an "urgent need to review and fast-track this process".Besides, RNEL also referred to another Navy-Coast Guard project worth Rs 176,000 crore awarded to four DPSUs on a nomination basis, which are already stuck, causing huge time and cost overruns. "Due to this nomination process, the private sector, including RNEL and L&T, have been denied any opportunity to participate actively in any defence ship-building programmes," the company said.Consequently, the current capacity utilisation of Reliance Naval (Gujarat) stands at barely 10 percent, with a similar situation for L&T, and "both shipyards face a bleak future financially" due to "lack of opportunities/orders". The RNEL letter also noted that, in 2017, the last three competitive bids worth Rs 15,000 crore were awarded to the DPSUs "due to the extremely low prices quoted by them compared to the private sector".While the PSUs are in a position to offset their low-cost competitive bids through high margins of the nominated awards, the private sector has to factor debt-servicing costs incurred for setting up world-class infrastructure and production facilities, the letter noted. It said while RNEL received orders for 14 Fast Patrol Vessels, or FPVs, each worth Rs 60 crore, compared to the simultaneously nominated orders to the DPSU Garden Reach Shipbuilders & Engineers (GRSE) of five FPVs at Rs 72 crore each, or 20 percent higher for exactly similar specifications.For Coastal Patrol Vessels, or CPVs, orders were placed with L&T for seven vessels on competitive tendering at a cost of Rs 186 crore each, compared to four vessels on a nominated basis to Goa Shipyard Ltd (GSL) at a cost of Rs 275 crore, or more than 50 per cent higher. As a result, the "private sector gets virtually no orders in the present scenario". This, in spite of the huge cost and time overruns in the projects being executed by the DPSUs on a nominated basis -- which are way in excess of their capabilities, RNEL said.It urged the minister to expedite the issuance the RFPs for which seven Acceptance of Necessity, or AoNs, exist for a programme value of Rs 18,000 crore, and also sought that AoNs be cleared for six other RFIs worth Rs 32,000 crore. It also requested that RFIs be only issued for a competitive bidding process that involves both the DPSUs and the private sector.RNEL said it had invested in Reliance Naval to show its commitment to the Prime Minister's Make In India and Skill India initiatives in the defence sector and projected naval requirements, and to contribute to the country's maritime security.